Hey Future and Former Campers! We are always trying to find better ways to make it easier for you to register for camp and we have found it. Camp Improv Utopia has partnered with Camp Network to run our registration from here on out. What does this mean for you? 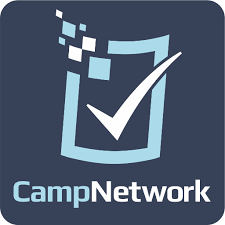 Easier payment process and registration – Camp Network uses Stripe and takes all major credit cards. You can make an account! Once you’ve registered, if you want to register of another camp or a future camp you won’t have to put your information in again. You can just select your information. You can update it if you want as well. Camp Network and Stripe are Non-Profit friendly! Streamlined registration. It’s all in once place. Registration and Payment! No longer will you have to do registration and then get promoted to PayPal. Currently all our camps for 2017 are sold out. But you can get on the waitlist for no cost for Camp Improv Utopia East in Stroudsburg, PA. The waitlist is not that long, so please get on it!